Rote learning is a big setback in children’s education. All the traditional ways used by the teachers, even though good, now need an upgrading. New learning techniques with the use of technology are much welcomed in the present scenario. 2D animation and 3D simulations have proven to be very fruitful in terms of educating students. It has helped to enhance their performance as well as academic achievement in the present technological time. Several schools have used animation based AR technology to teach medical surgeries, mechanical projects as well as geographic representation in required subjects. AugThat is one such app being used in some schools to bring life to core subjects like Math, Science, English and Geography. Education is not just about reading and writing, but also about polishing the skills of each student. This can only be done when every student takes interest in the learning procedure and feels like he is achieving something by going to school or pursuing a particular degree. Augmented Reality software have played a very important part in this scenario. It has helped in increasing worker efficiency as well as less equipment expense. 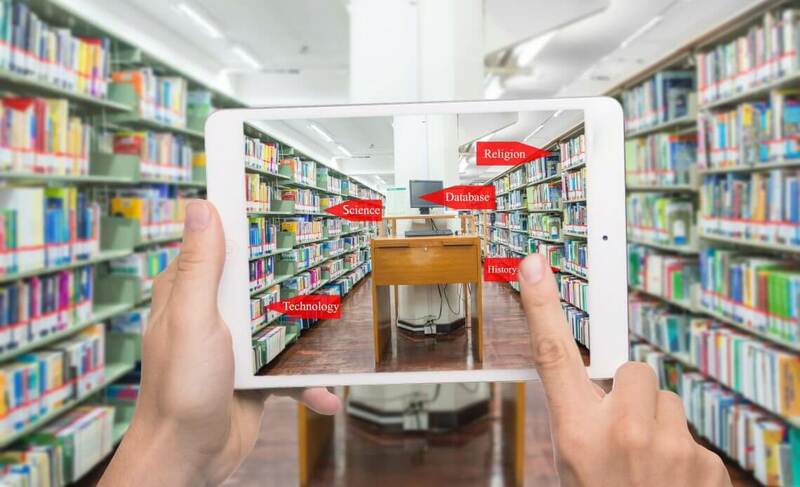 AR in interactive multimedia is a huge step in education and learning. It presents a user-friendly interface that helps the students to take part in e-learning. The students can interact with the virtual content that is composed of 3D objects, animations, text and images. 3D modeling is especially used in graphics, architecture and design learning. It is a welcomed addition in terms of AR in educating students to perfect and practice their skills in this area. Several software like Unity, and Augment Education are doing a pretty good job in helping students get education in current times. Gamification is another process that helps students have an interactive session at school. Similar apps to Pokémon Go have been made that are providing students to fulfill certain tasks based on the subject. Learning Alive is a related app that brings math to life through different tasks set to complete.